What The Faux: Seamus time! 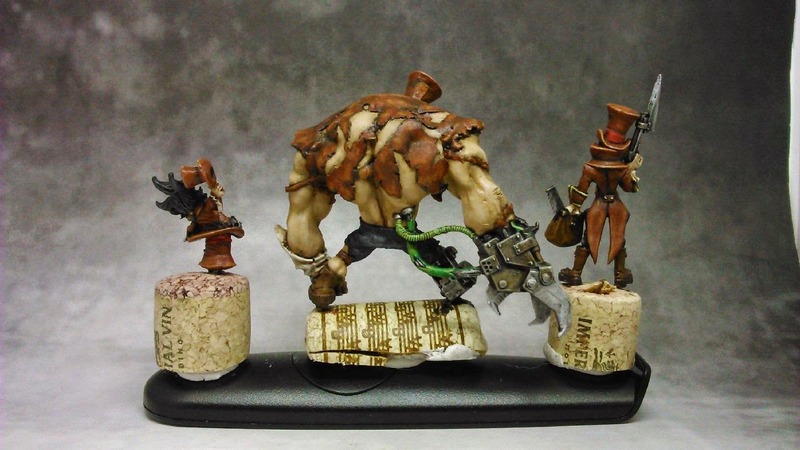 Seamus has been one of my favorite models ever since I learnt about Malifaux. In fact I almost picked up his original box but in the end chose Lady J. The miniature is really great, it has everything - arrogant pose, fantastic details, and a face with a nasty grin. I like this one so much more than the plastic version. Seamus seems one of the easier masters to start the game with as his mechanics are centered on summoning Rotten Belles, jumping around the board and firing a deadly shot from his Flintlock gun every turn. He can use it only once per turn but the damage spread is really impressive (4/6/8). The avatar version is also one of my favorite models from the range. The first association when you look at it is Mr Hyde and it's a good one. 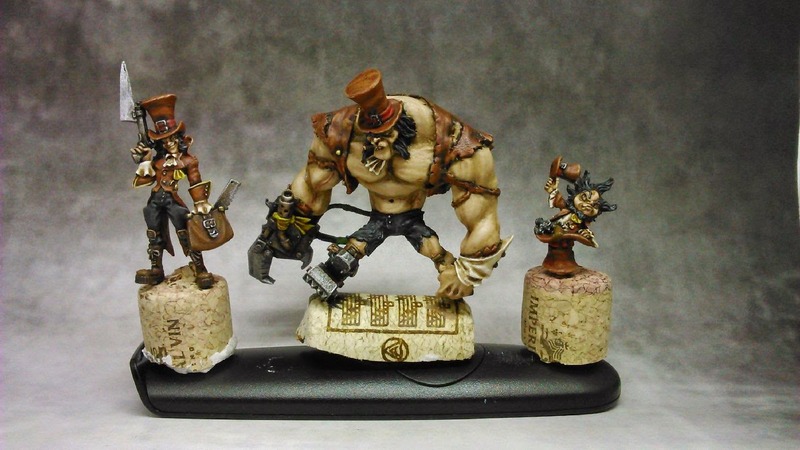 I'm not the author of conversion on this one but I think that the 40K Ork extras go really well with the character of Steampunk pimp. And besides, it's Malifaux so anything goes! The Copycat Killer was also a lot of fun to work with. He's basically a smaller version of Seamus and his ranged attack is pretty impressive too. Damage 4/5/7, rg 8 + the action can be taken twice per turn. He can also move all over the board easily as long as his master remains in play. I'm going to focus on Neverborn now - I still have Tuco and Black Blood Shaman along with Pandora's crew that need to be assembled and painted.